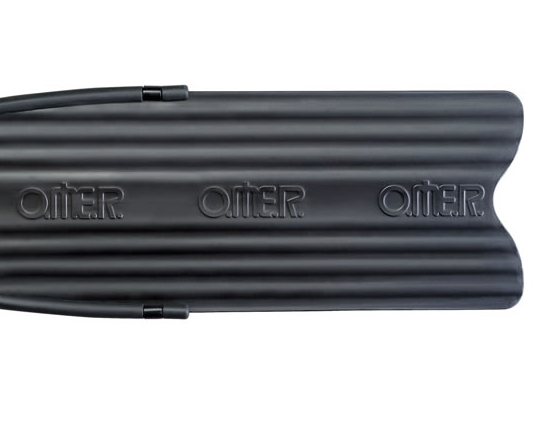 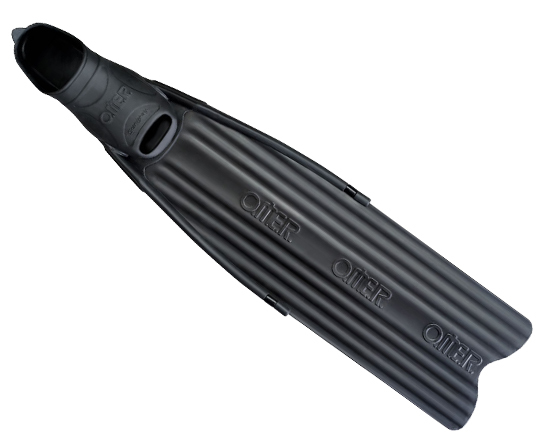 The OMER Stingray fins are characterized by the fixed blades with their thermo rubber foot-pocket and for the angle between foot-pocket and blade being 22 degrees (compared to traditional 15/17 degree). 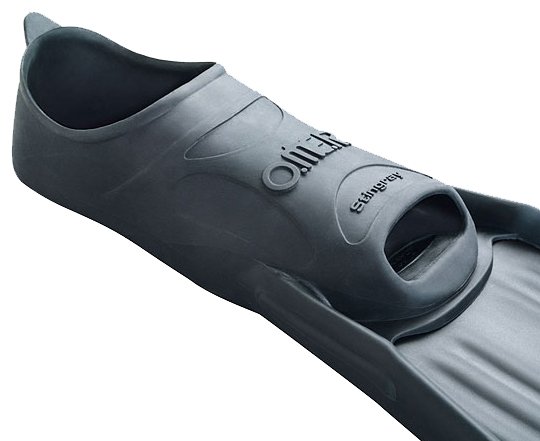 The use of thermo rubber of two different stiffness compounds increases comfort over normal foot-pockets. 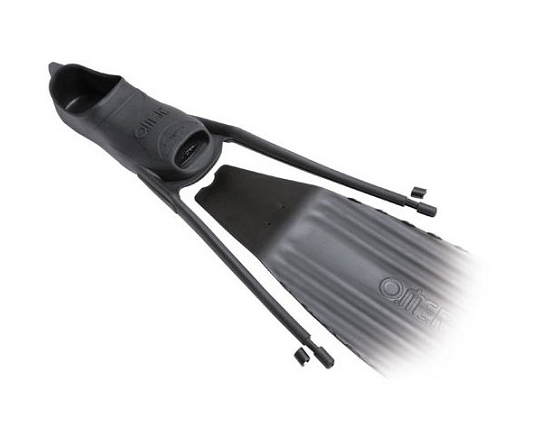 The 22-degree angle is the result of trying to optimize the power of the push through the water, relative to effort.